Treat Planet Dealers – Best darn dealers on the planet! No matter how great any of our Treat Planet products are, a great team is needed to bring great products to the people. 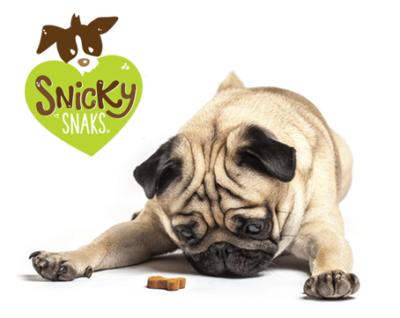 By creating products that people and their pets want, we create new Treat Planet income streams for you, helping us grow together. We invite our dealers to take advantage of our world class display merchandisers that install in minutes. It’s like having a Treat Planet salesperson working with you 24/7 to help inform your customers about all of our awesome Treat Planet products. 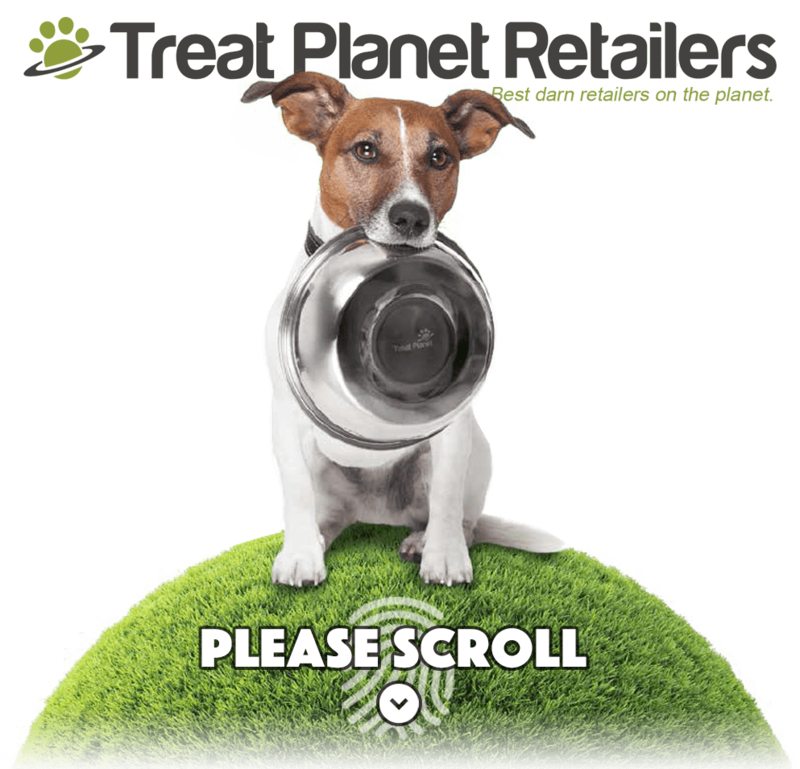 Whether you’re already a part of our Treat Planet Dealer Network, or considering one or all of our brands for your store, we welcome you to our Dealer website. 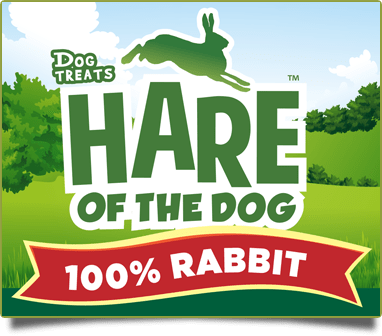 We hope you find it a helpful resource in promoting our Treat Planet brands in your store, and invite you to contact us directly if you have any questions. Sign your store up for this cool program and all of its benefits today! 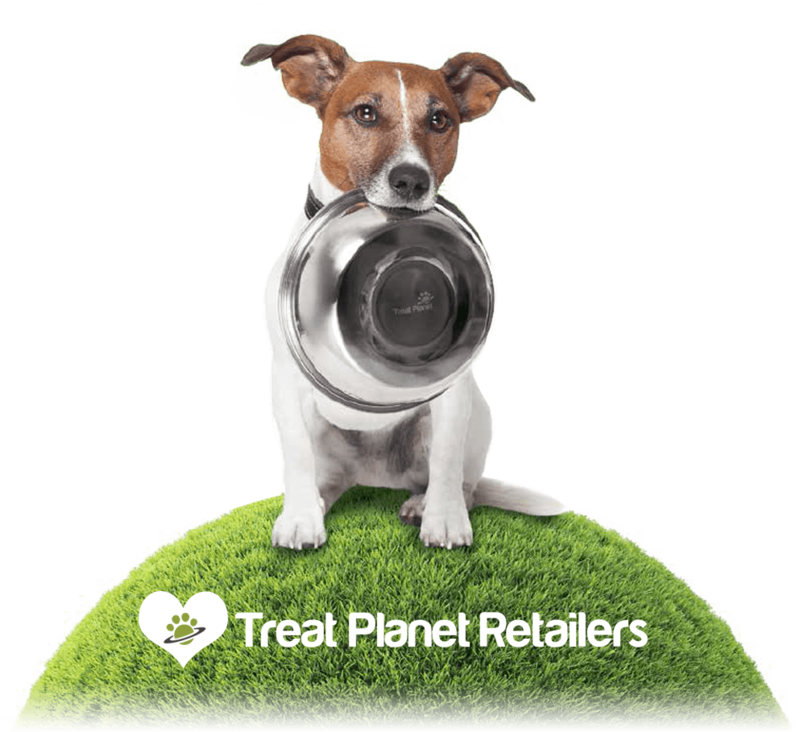 All of the resources you will need to properly sell our Treat Planet products in your store. Find your store on our map, and if it's not there you can sign up! 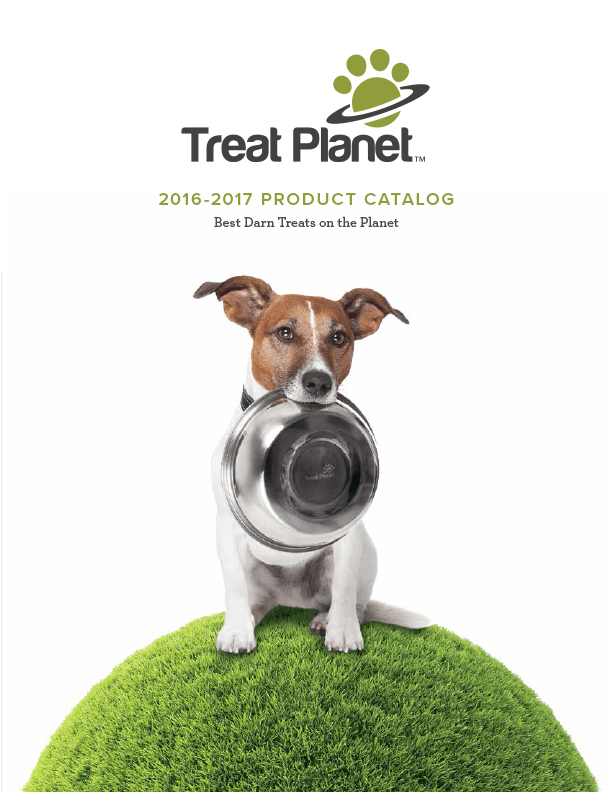 Scroll through our brands to find all the information you need about our complete line of Treat Planet products. 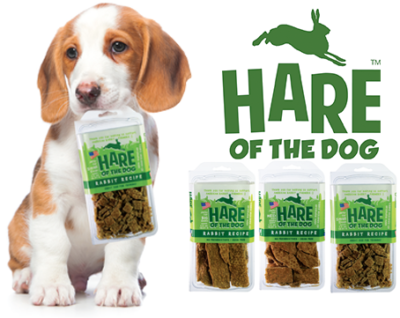 Organic, all-natural, oven-baked dog treats! 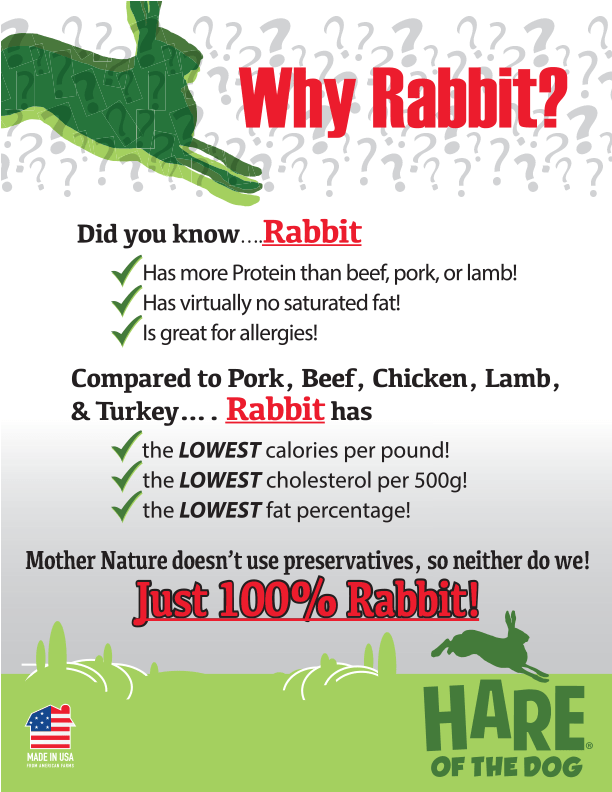 Discover what Mother-Nature knows…dogs love rabbit! 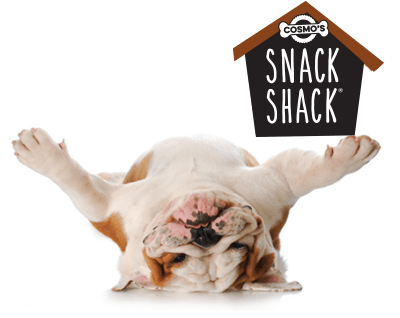 Cosmo's Snack Shack™, ideal for consumers on-the-go! 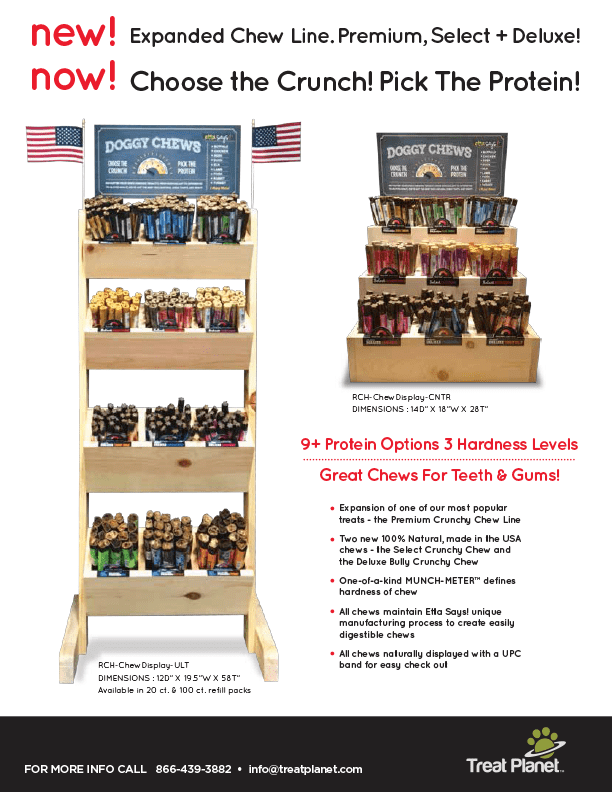 Promote your Treat Planet products in your store with our full line of Treat Planet Product Displays. 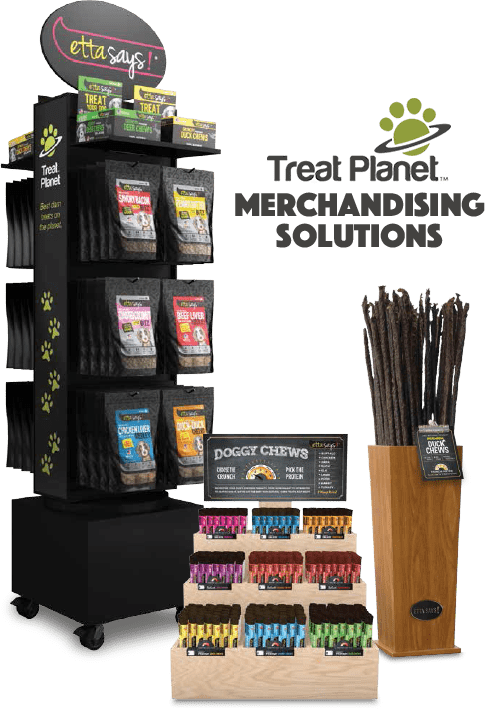 Watch this video to discover some of the ways in which our in-store product displays can help generate sales for you while handsomely displaying our Treat Planet products. Welcome to our Retail Resources page. Please feel free to contact us if you are unable to find the resources that you need. 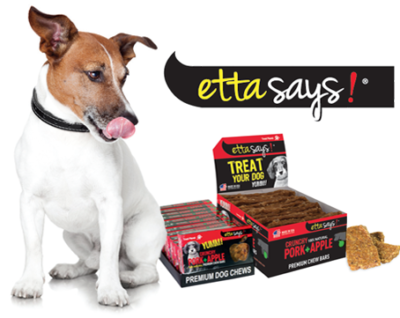 It is the pet passionate heart’s of our distributor network who tell the stories of our products. Below is a list of our North American Distributors. Once you fill out this form you will be redirected to the order form for your local distributor.